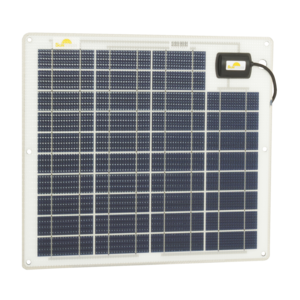 The Sunware SW20163 Solar Panel Semi-Flexible PV Module 25W 12V Rectangle is a no-compromise build quality product from Germany. 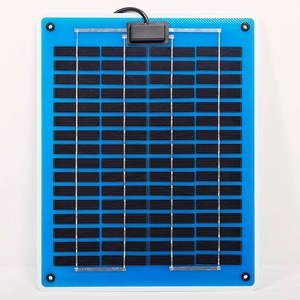 These marine grade panels use only high performance cells and cell configurations so that they can run cooler and deliver the highest power output ratio of semi-flexible solar panels on the market. Imagine, every time you set off on an adventure, all the battery power is immediately available. Satellite navigation, computer, refrigerator, engine starting for your comfort and safety. 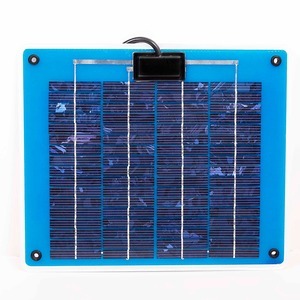 Solar modules with cable outlet front side mounted. Designed for boats, flat trucks, navigation aids, sea buoys, streetlamps and many other. Superior performance from low light levels. 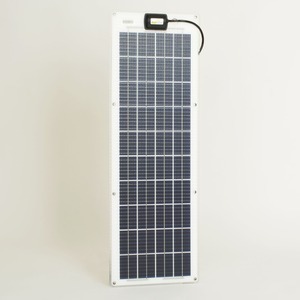 The solar panel of choice… and a must for long distance cruising!